*Please note, transportation will not be provided for this event. If you enjoy the beach, don’t miss this opportunity to experience the beauty and entertainment of Myrtle Beach! 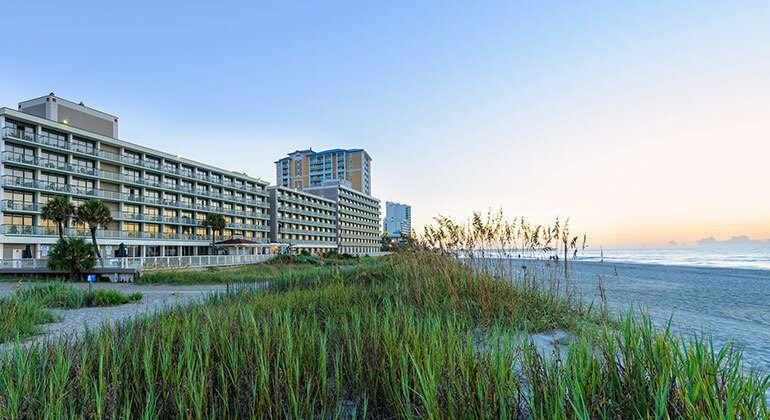 Your summer getaway includes 3 nights at Westgate Myrtle Beach Oceanfront Resort, a VIP check-in, plus a welcome party with food, drinks, a DJ, dancing and prizes. You’ll also receive two tickets of your choice to one of five popular Myrtle Beach shows. These events include Motor City Musical, Carolina Opry, Legends in Concert, Medieval Times or Pirates Voyage. Enjoy the rest of the day to explore the city, lounge out by the beach or a mix of both! Finally, enjoy sleeping in on your last day by enjoying a late check-out. 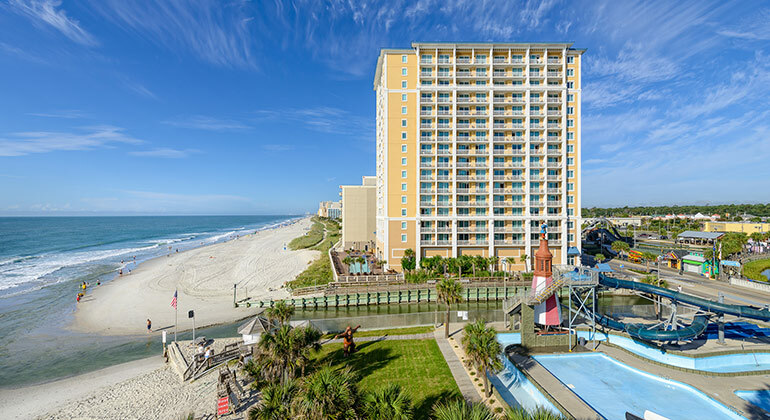 Located along South Carolina’s spectacular Grand Strand, the resort offers a heated beachfront swimming pool, lazy river, seaside café, spa and an expert on-site golf director who can help you choose between more than 100 area golf courses. 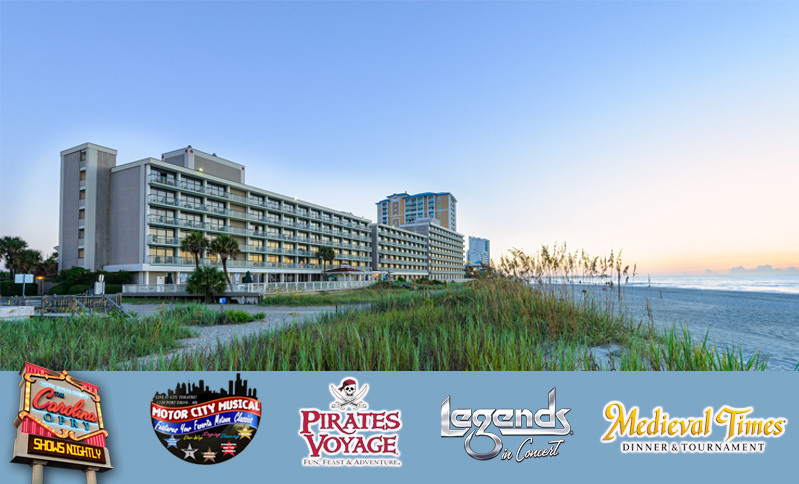 Experience some of the best entertainment in Myrtle Beach by choosing one of five unique options: Motor City Musical, Carolina Opry, Legends in Concert, Medieval Times or Pirates Voyage. 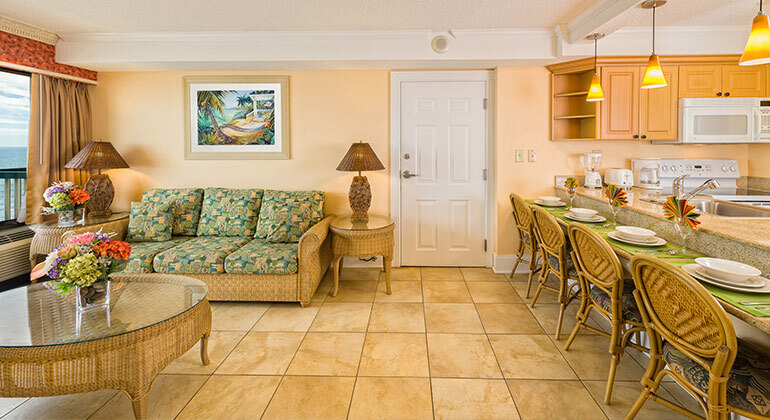 If you’re going to play on the beach, why not stay on the beach at beautiful Westgate Myrtle Beach Oceanfront Resort. 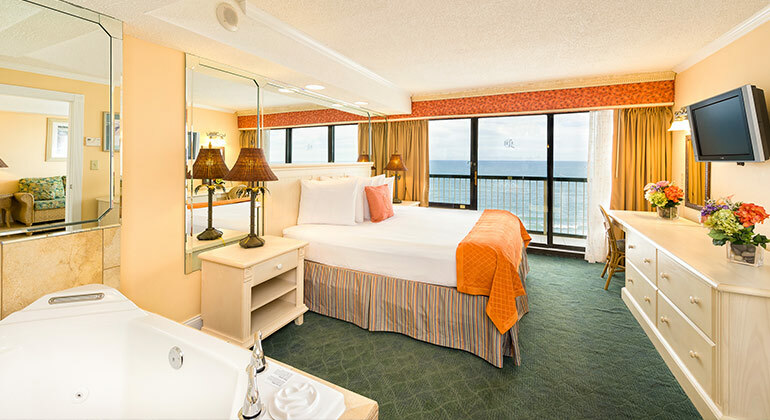 Located along South Carolina’s Grand Strand, Westgate puts the Atlantic Ocean at your doorstep. For a dream vacation – either as a couple or as a family – it’s hard to imagine a place with a more bountiful selection of activities for everyone. Sunshine. Golf. Shopping. Water sports. Water parks. Theater. Fishing. Nightlife. Amusement parks. Fine dining. Luxurious accommodations. 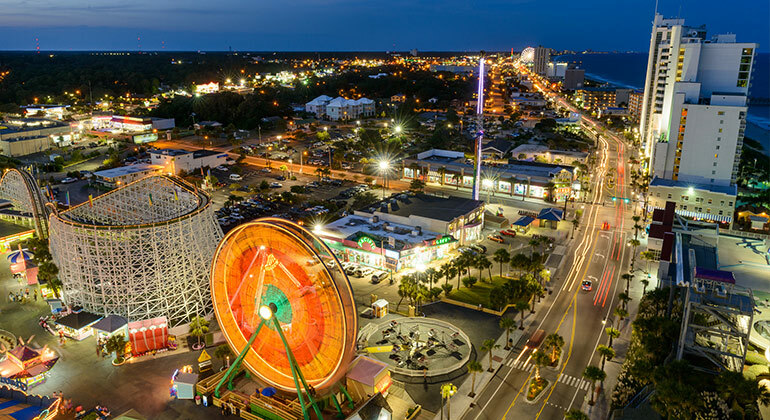 Myrtle Beach is one exceptional destination with an endless array of possibilities. 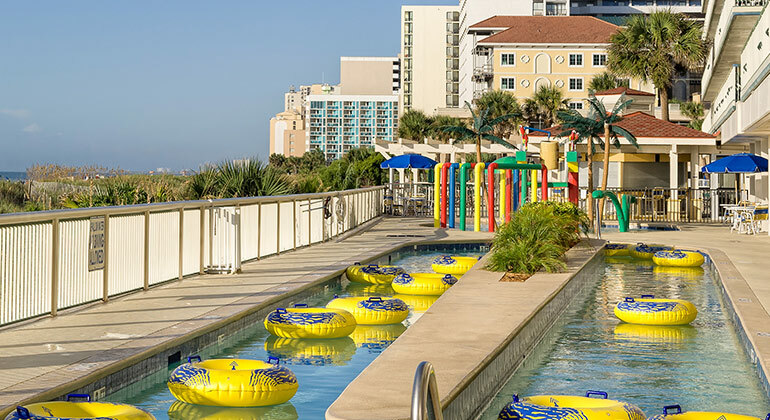 One of America’s favorite beach playgrounds, Myrtle Beach offers miles of beautiful sand that provides recreation from swimming, tanning and shell collecting to parasailing, sand castle building and body surfing. Of course, being situated on the Atlantic Ocean also makes Myrtle Beach synonymous with seafood and the area features two seafood centers known worldwide – Murrells Inlet and Calabash. Both founded as fishing villages, you’ll find the freshest catches at fabulous prices. Myrtle Beach also offers dozens of shops, boutiques, restaurants and fun-filled family attractions, not to mention some of the very best championship golf courses in the world. 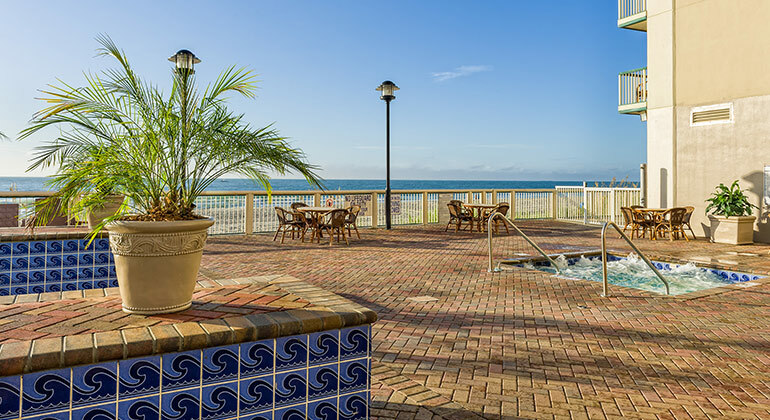 Guests of the Westgate Myrtle Beach Oceanfront Resort enjoy the convenience of onsite dining at the casually elegant Seaside Café, which provides a diverse menu and spectacular views of the Atlantic Ocean. Sample menu items include steaks, ribs, chicken, fish & chips, pulled pork, seafood, pasta, burgers, chicken sandwiches, garden burgers, chicken tenders, pizza and chicken wings, as well as sandwiches, salads and appetizers. Save room for one of the delicious desserts. Breakfasts include omelettes, pancakes, French toast, baked goods and fruit. An all-you-can-eat buffet is available seasonally. The Seaside Café is open daily for breakfast and dinner. Hours are seasonal. Room service is available for breakfast Monday through Friday from 7 AM to 10 AM and Saturday and Sunday from 7 AM to 10:30 AM, and for dinner nightly from 5:30 PM to 9:30 PM. 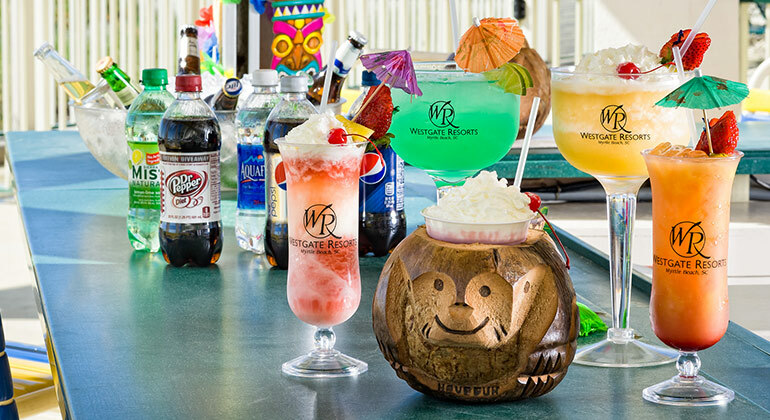 Enjoy your favorite cocktail, live entertainment and scenic oceanfront views at Coconut Willy’s Pool Bar, which serves lunch daily. Sample menu items include burgers, hotdogs, chicken tenders, sandwiches, French fries and salads. Open seasonally. The spacious oceanfront indoor/outdoor patio at the Catamaran Grill is the right place for a sandwich, snack or libation as refreshing as the atmosphere surrounding it. You can order delicious, fresh, hot pizza and other tasty dishes to be delivered directly to your room from Cordovano Joe’s Authentic New York Style Pizza. Hours of operation vary. Ready to purchase your tickets? Similar events we thought you might like. New Westgate Events are added frequently and many sell out quickly. Simply subscribe to our email list and you’ll be notified of our newest events and our biggest and best sales! This advertising material is being used for the purpose of soliciting sales of a vacation ownership plan. Westgate Events is a resale marketplace and is not a box office or venue. Need help paying your HOA Fee? Find out how. This package is only available by phone. Events sell out quickly. To ensure the most up-to-date ticket availability, event packages may only be booked by phone.